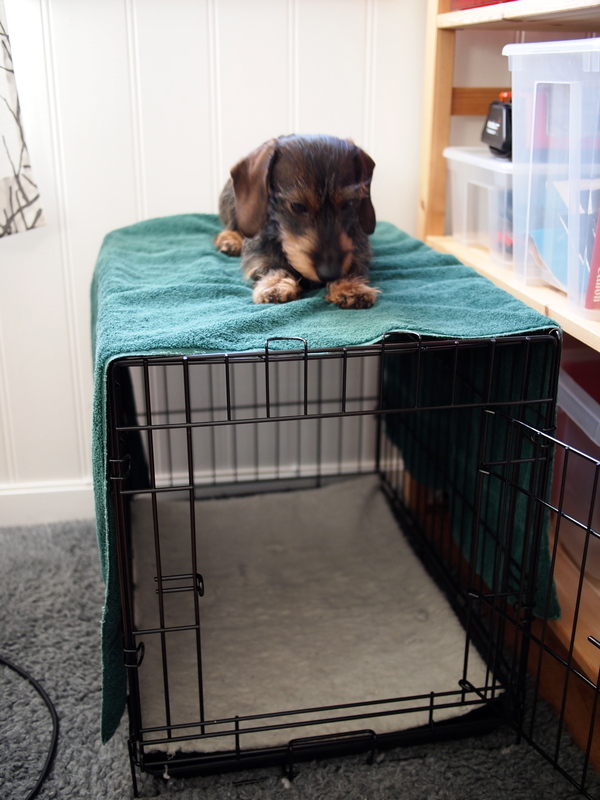 This weekend was very social and pretty exhausting. Friends are just sooo exhausting. 😉 Having a beer, meeting for Pizza and then for breakfast can be very hard on you. Especially considering that you have a lot of fun. As you can read, we had a lot of fun. This week I managed to stay away from work and start my weekend on Friday already. As usual we had a nice breakfast together. Then after a long walk with Mr Ecky, I went to the gym and tried to burn a few calories which I would get back in the evening at the brewery where we met some of our friends. 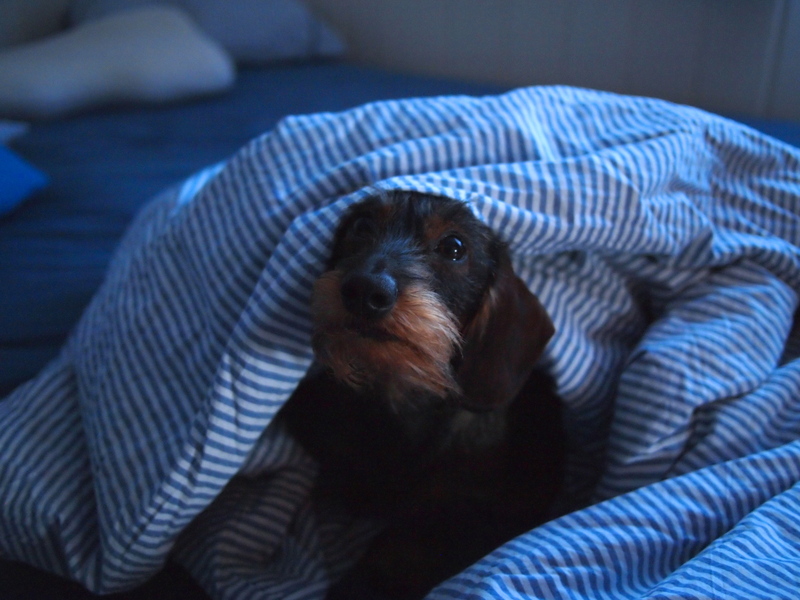 But as so often on a free Friday, I plan and visualize a lazy Friday at home. 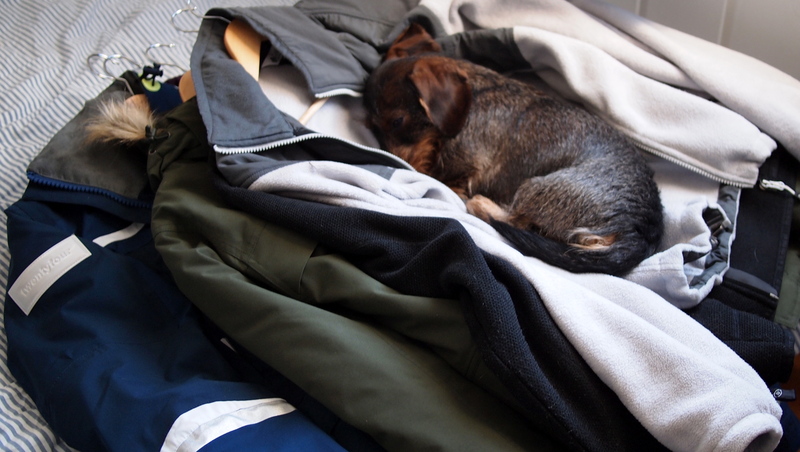 Cleaning the house, taking a nap, reading on the sofa… But then it’s Friday, I’m on the treadmill and feel pretty lazy that I’m not at the office, finishing off the stuff I could have finished. So I start to plan what else could be done. Since it’s boring on the treadmill I start to surf on the iPhone (I’m a turtle when running, so texting and reading on the treadmill works very good). 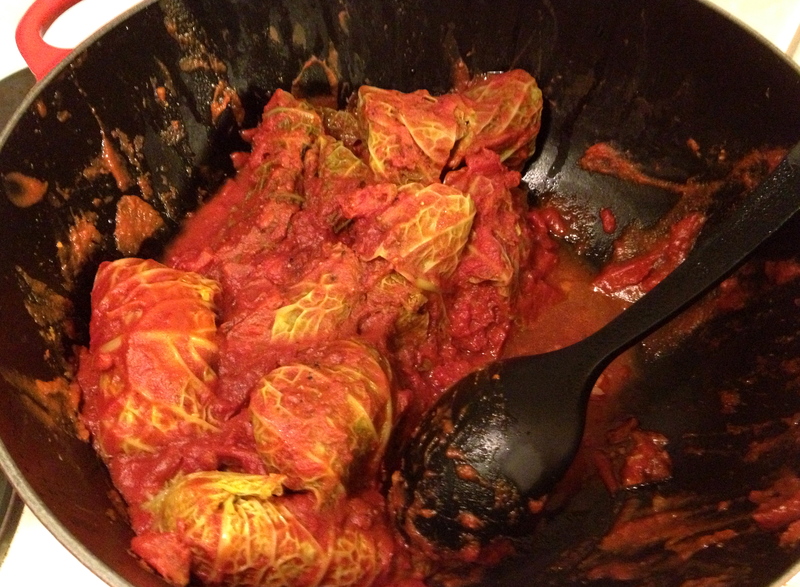 This Friday I found a recipe for stuffed savor cabbage in tomato sauce. 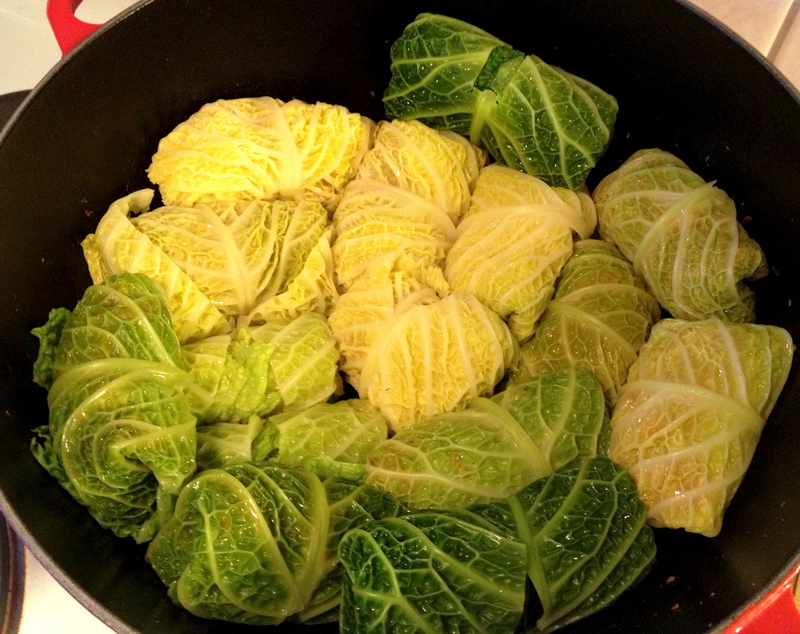 And unfortunately I had a nice head of savoy cabbage at home. 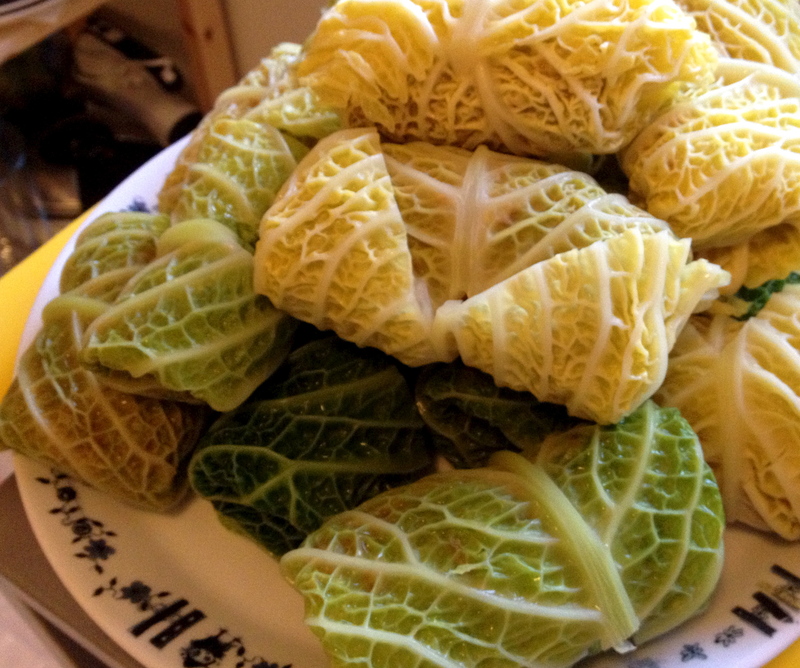 And unfortunately I love savoy cabbage. So, I had my first mission for the Friday. But what is just one mission for a whole day? -Exactly, nothing. Earlier this week Smitten kitchen had posted a new recipe for apple cider caramels. 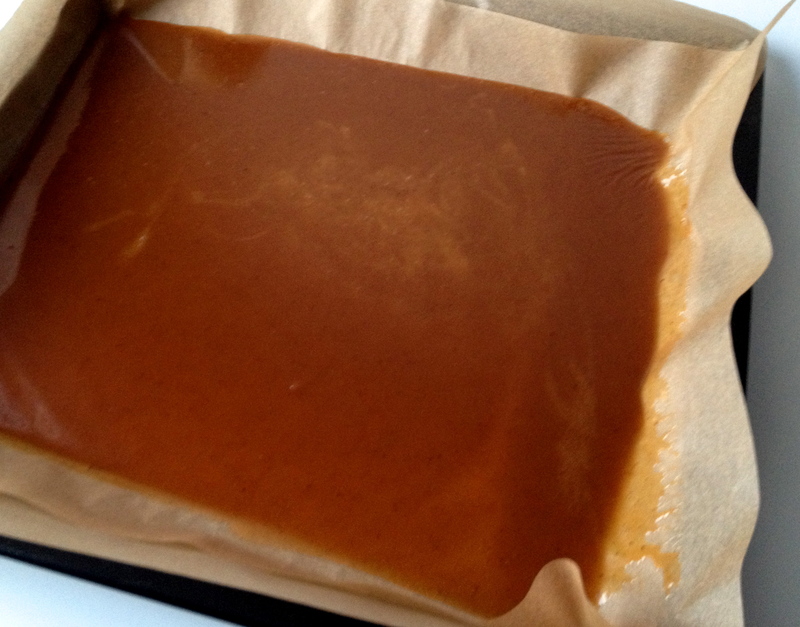 Yes, the name of the recipe is already very appealing but the actual caramels are just a dream. So, this was mission number 2. And I had to visit the local fish shop to stock up our freezer. After the visit of the fish shop where I couldn’t limit myself (I got salmon, ling, cod, arctic char, rose fish and atlantic wolffish) I went to one of my favorite shops in Trondheim, a shop for kitchen utensils. There I got those things. 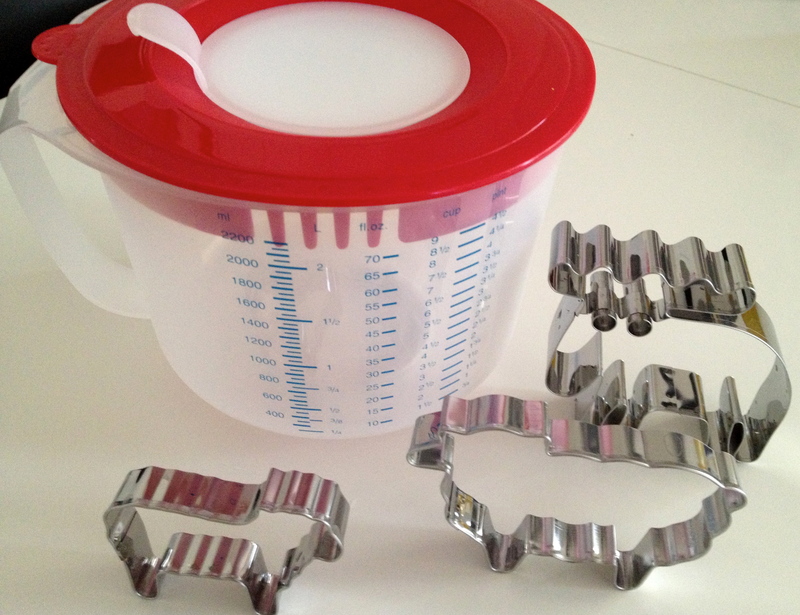 You can never have enough cookie cutters or measure cups. We ended the Friday with a very nice dinner together with a friend at home before we headed downtown to the brewery where we met other friends and had a lot of fun, too. Saturday started then with a good breakfast with eggs and english muffins before we did our usual Saturday duties: gym and groceries. 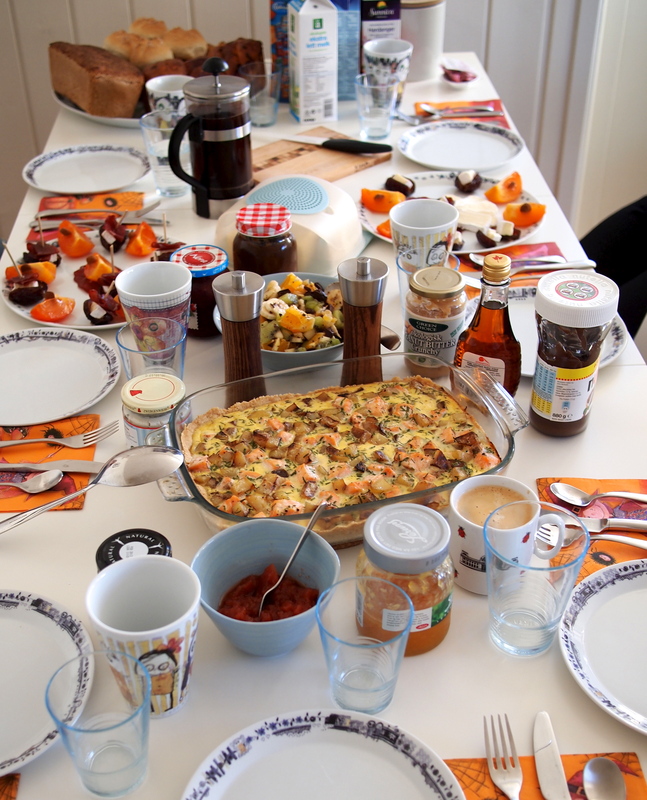 Since we had a few friends over for breakfast on Sunday, I started to prepare a couple of things already on Saturday. 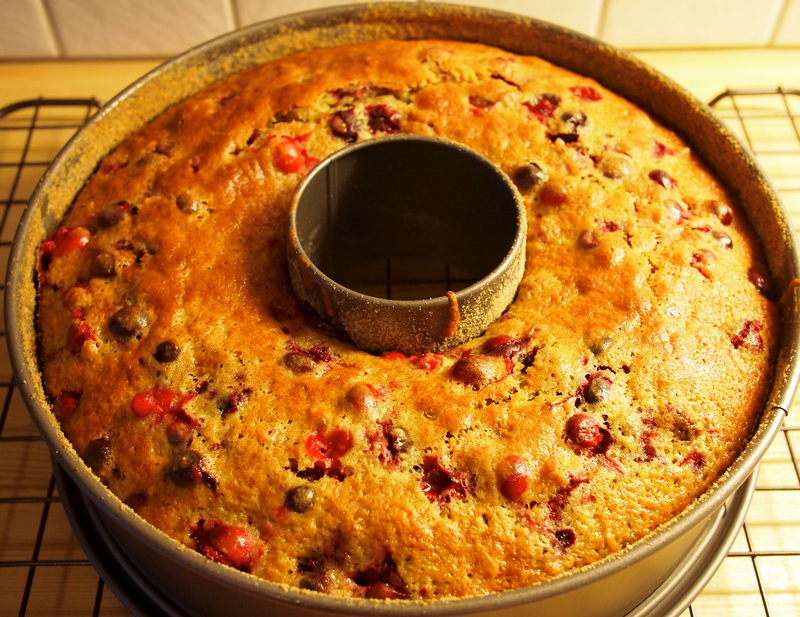 Betty’s cranberry bread (I call it a cake). The cranberries and the orange juice are in match which is rounded by walnuts. In the evening we went to a friend to have a Pizza night. We were 9 persons and we prepared 4 trays of pizza, but finished only 2,5 trays. We had wonderful and delicious toppings and Portuguese and Italian delicacy as starters and chocolate muffins for dessert. That in combination with amazing friends and you are almost in heaven. Now to Sunday. M spent his night until 4 am watching the Ducks football game and taking care of two breads while I was wandering in dreamland with Ecky warming my belly. Then in the morning I finished a salmon potato quiche and some pretzel rolls for breakfast. One friend contributed a fruit salad, a mix of kiwi, banana and dark chocolate with chunks of dried pineapple. Very good. And two other friends brought Italian prosciutto, persimmons, Brie, Camembert, dried dates and almonds which were placed on plates (the dates sliced open and filled with a piece of brie, an almond and for the meat eaters with a piece of prosciutto and for the vegetarians without it along with wedges of persimmon). 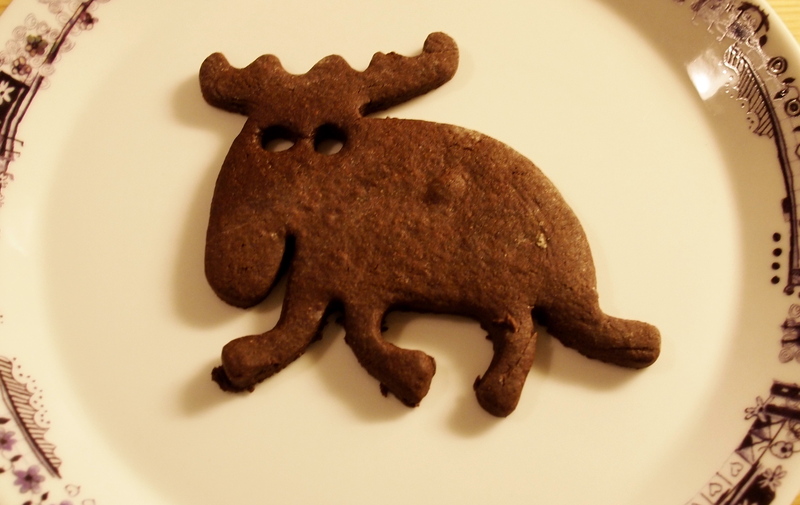 It looked beautiful and tasted excellent. M prepared fresh waffles in addition. That’s how our breakfast table looked. For the rest of the day we chose to get our bellies a recovery = relaxing on the sofa and then off to the gym again since we had tanked enough energy for a run at breakfast. 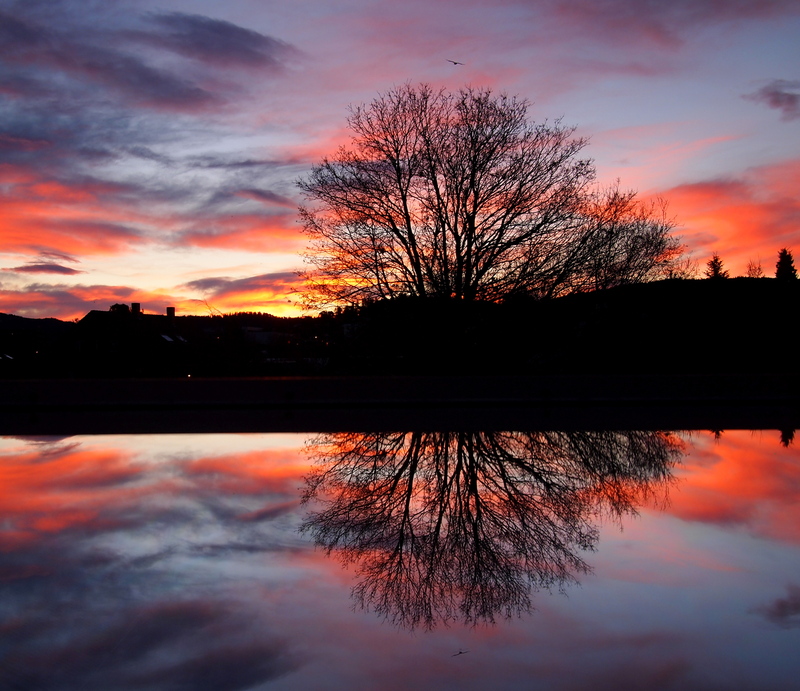 We wish all a very nice week! Soon more from us.